Although eggs do not contain any lactose, you may develop a sudden intolerance to eggs and lactose at the same time. Food intolerances can occur at any age and may be caused by an intestinal injury or disease. If you’ve noticed that every time you eat eggs or consume dairy products you develop digestive complications, stop eating both until you can be tested by a gastroenterologist. Intolerance to eggs and lactose is not curable, but symptoms are preventable through diet modification. Sudden intolerance to eggs and lactose is most likely caused by an intestinal infection, disease or injury. Aside from these circumstances, it is odd to develop two food intolerances at the same time. When you eat food, the lining of your intestines produces different enzymes that help digest the proteins and sugars in the food. If the lining of your intestines becomes damaged through infection or injury, your body may stop producing the enzymes needed to digest egg proteins and lactose. This will lead to common food intolerance symptoms. Egg intolerance is the inability to digest the proteins found in eggs. You may be intolerant to one or both proteins found in eggs. 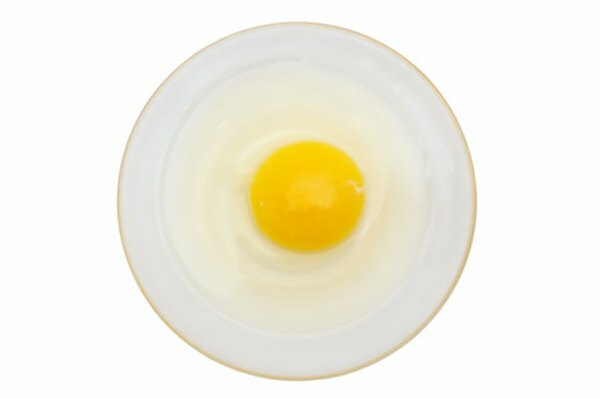 The yolk and white of the egg contain two different types of proteins. If your body cannot digest the proteins, inflammation and swelling will result in your digestive system. Lactose intolerance occurs when you cannot digest the sugar found in milk. The severity of lactose intolerance differs from person to person, according to the National Digestive Diseases Information Clearinghouse. For example, one person may be able to consume a half cup of milk, while another may not be able to tolerate more than a teaspoon of milk. Symptoms of a food intolerance to eggs or lactose, which develop anywhere from 30 minutes to a few hours after ingestion, are related to the digestive system and will not develop in other parts of the body. Common signs of intolerance to eggs or lactose include diarrhea, cramping, bloating, nausea, gas, vomiting, foul-smelling stools and stomach pain. If you notice hives, shortness of breath or sinus congestion, you may have an egg or milk allergy. The only treatment for egg intolerance is avoidance of all egg-protein products. This includes most baked goods and desserts. Read the ingredients on every food product before you ingest it. Lactose intolerance symptoms are preventable by taking a dietary lactase enzyme before your first bite of a dairy product.